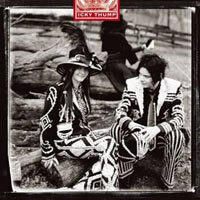 The White Stripes’ most recent album, Icky Thump, came out a little over two years ago. After that release, Jack White went off and started about two dozen bands, none of which have excited me very much (at least not the bits and pieces I’ve heard). I wish he’d get back with Meg and release another White Stripes record because the last few have been excellent. Today’s song is one of my favorites from Icky Thump. It’s about being so insecure about a new romance that you call it quits before things even get started… or at least that’s what it’s mostly about.